Monogram of Birthday Girl's Initial right on top! 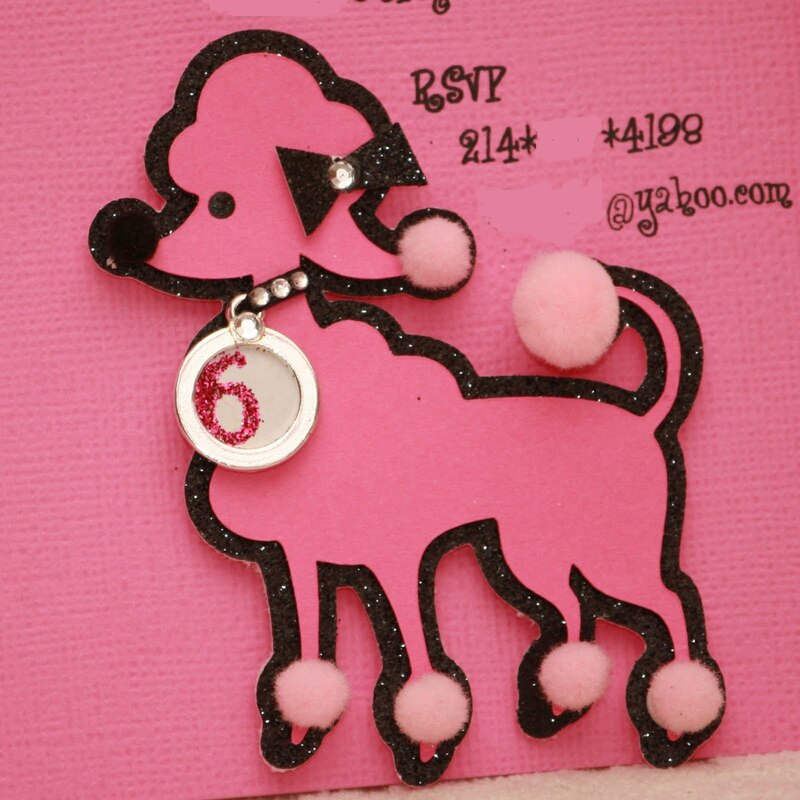 Super cute poodle on bottom. 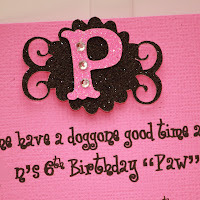 Rhinestone collar has silver tag with Birthday Girl's age inside. 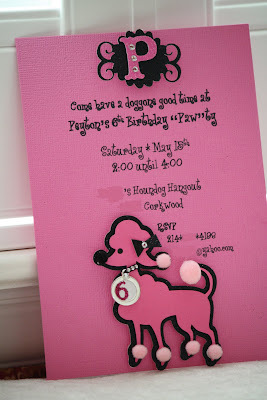 Party invitation for fun girly poodle party! German Chocolate cake mixed with coconut pecan icing. Dipped in dark chocolate and topped with chopped pecans & coconut. Created for sweet 8 year old's birthday. 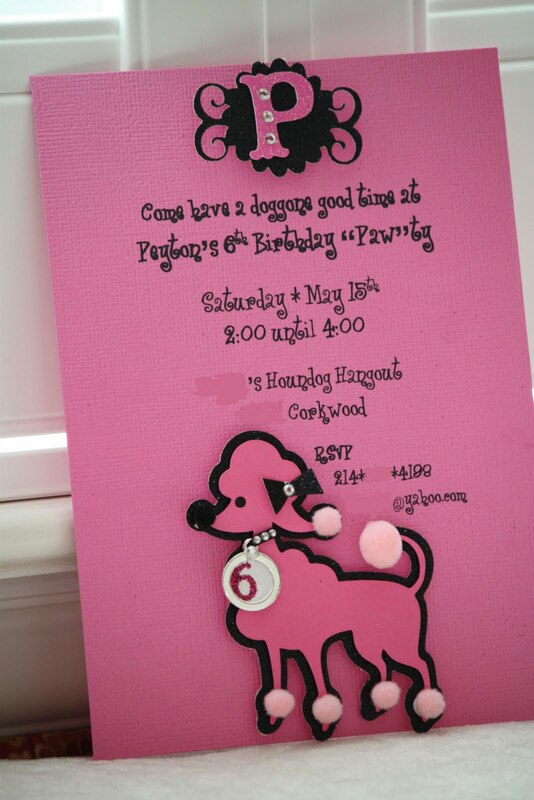 She requested the colors and the monogram. I got to do everything else. Its a moist 6" 3-layer cake. There is also lemon curd under the frosting on top of the cake.